Thousands of school children across New South Wales are set to benefit from a new $100 rebate for sporting and fitness related costs, with $207 million set aside over four years from 2017-2018. Treasurer Dominic Perrottet today announced an ‘Active Kids Rebate’ will be available for every family with children in school from early next year. “Tearing around the sports ground is the best thing about being a kid, but sports registration and lesson fees can really add up for families,” Mr Perrottet said. “Our Budget will lower that cost for every school child in NSW, making sport more accessible, helping families out and reducing barriers to healthy activity. Families will be able to claim the rebate on items such as sports registration and membership costs, as well as swimming lesson fees. 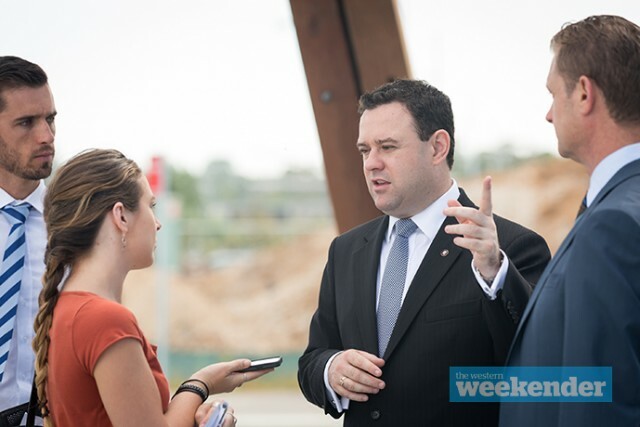 Sports Minister Stuart Ayres said the annual rebate will not be means tested and available for every school child wanting to get involved in community sport and fitness. “We would love to see more young people participating in sport, we know promoting active habits early is a key factor for ensuring a generation of healthy kids and tackling rising obesity rates,” he said. “Whether it’s strapping on their boots, donning a netball bib or pulling on their team colours, this is about making sure families don’t have to stretch their budgets to ensure their kids are active and healthy,” Mr Ayres said. The ‘Active Kids Rebate’ is a key initiative in the 2017-18 Budget and supports the Premier’s priority to reduce overweight and obesity rates of children by five per cent over 10 years. From January 1 2018, parents will be able to claim up to $100 per school child, per calendar year, as a voucher to reduce the cost of sport registration or membership fees for after-school and weekend sport, and active recreation activities. These activities could include sports such as netball, football or basketball; swimming classes or lessons; as well as other fitness or physical activities such as gymnastics or athletics. A comprehensive list of eligible sports and activities will be finalised following community consultation ahead of the start date early next year, to allow providers to register with the NSW Office for Sport.